Portal-based bridge building coming soon to consoles. 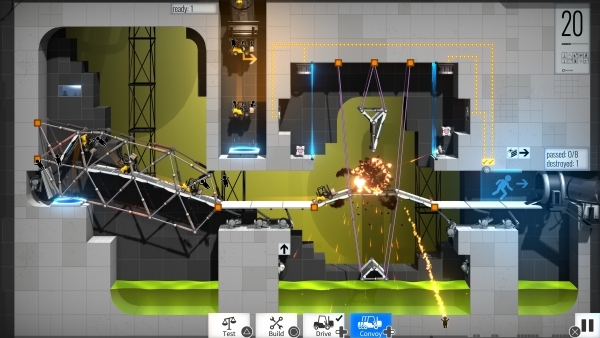 Bridge Constructor Portal will launch for Xbox One and Switch on February 28, and for PlayStation 4 on March 1 for $14.99, publisher Headup Games announced. The Portal-themed Bridge Constructor spin-off first launched for PC and smartphones in December. It implements Portal mechanics into bridge-building puzzles.